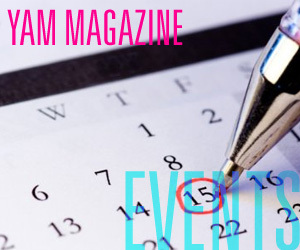 I’ve been to SXSW for four years in a row now, and I’ve noticed a trend. 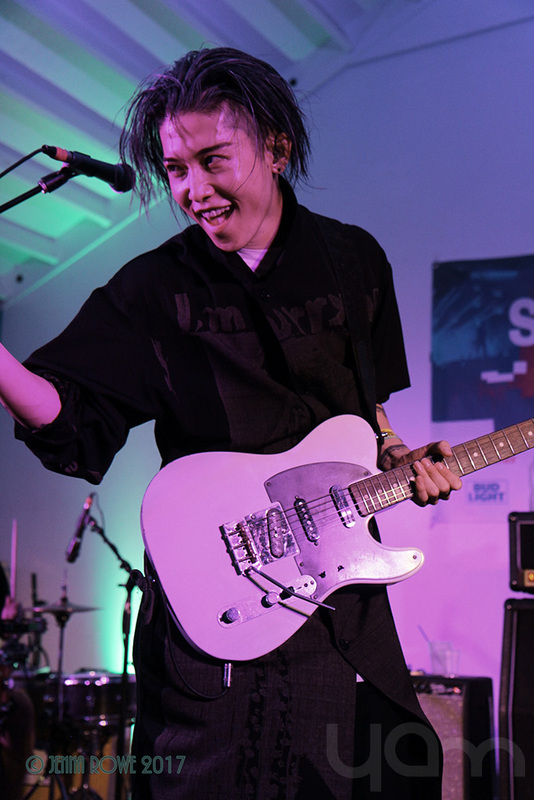 That on top of the excellent line up of artists that they put out for Japan Nite each year, they bring one BIG name Japanese artist. 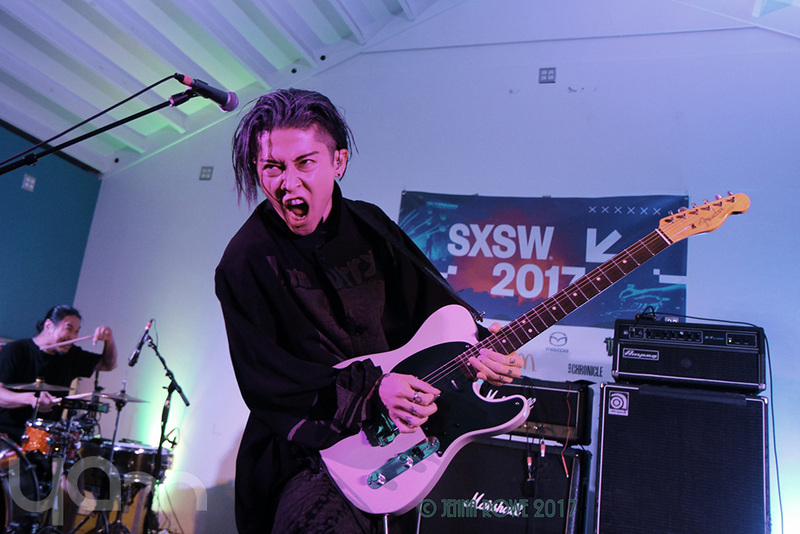 By around late February, I was beginning to wonder where the big name was – then they announced Miyavi was coming, and I just about fell off my chair in my excitement. 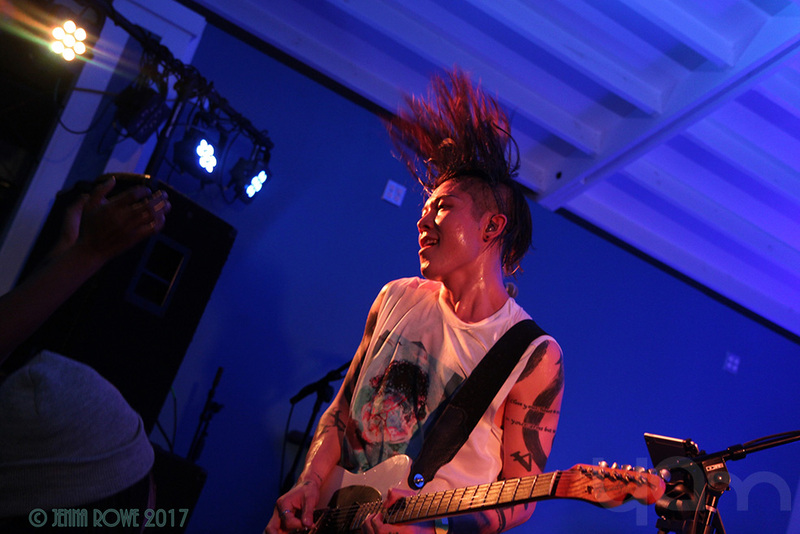 Miyavi is one of those artists that I have grown with, watched him mature out of his Visual Kei roots, become a husband and father, and stretch his influence beyond music and into humanitarian efforts. To say I was excited to see him, is making a mockery of my enthusiasm. 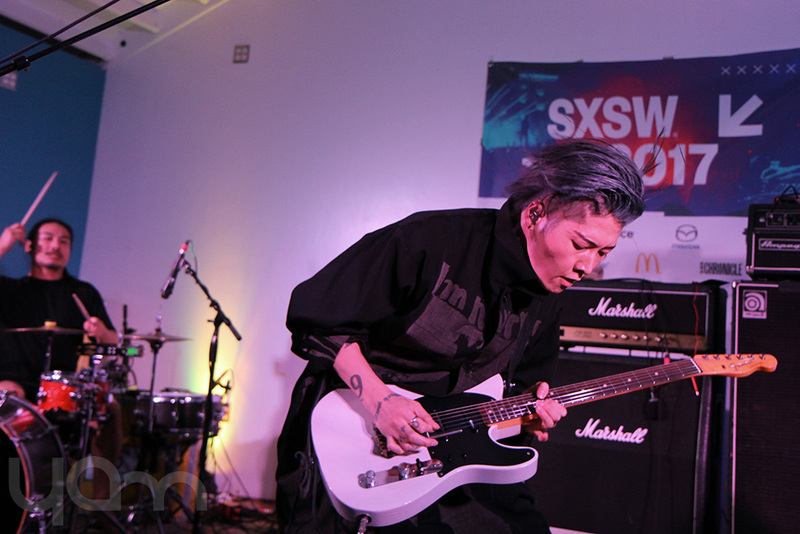 Miyavi played twice at SXSW – once on Wednesday, March 15th and again on Thursday the 16th. Both nights were amazing. 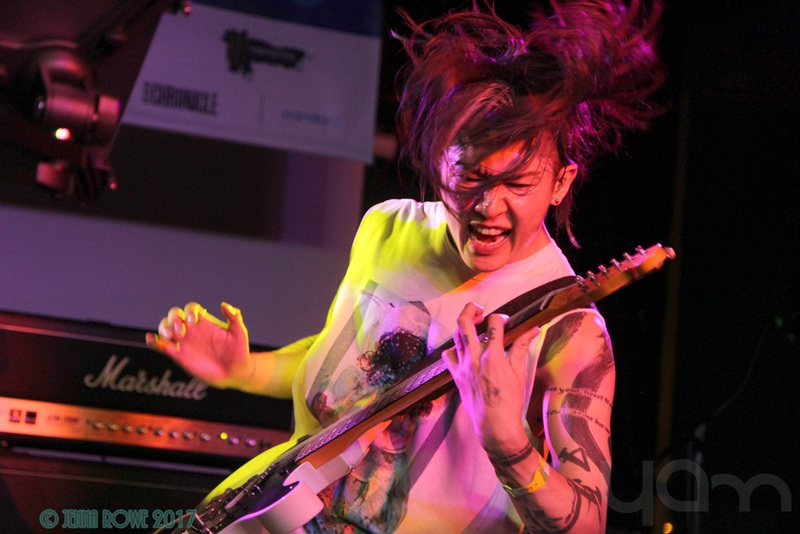 Wednesday night at Buffalo Billiards was probably the oddest night of SXSW for this year. 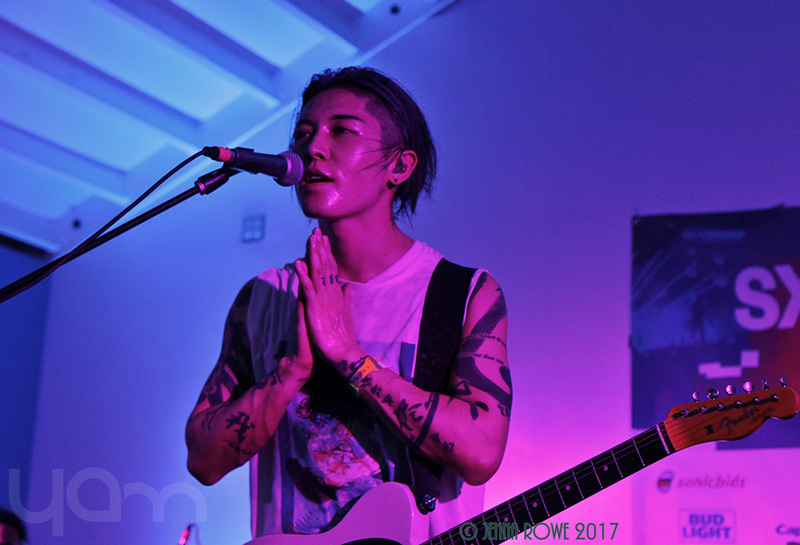 When we got there, we were waiting for the artist before Miyavi to play when the smoke detector when off and we were temporarily evacuated. Then we watched a couple of artists that were…not my style, to put it as nicely as I can. 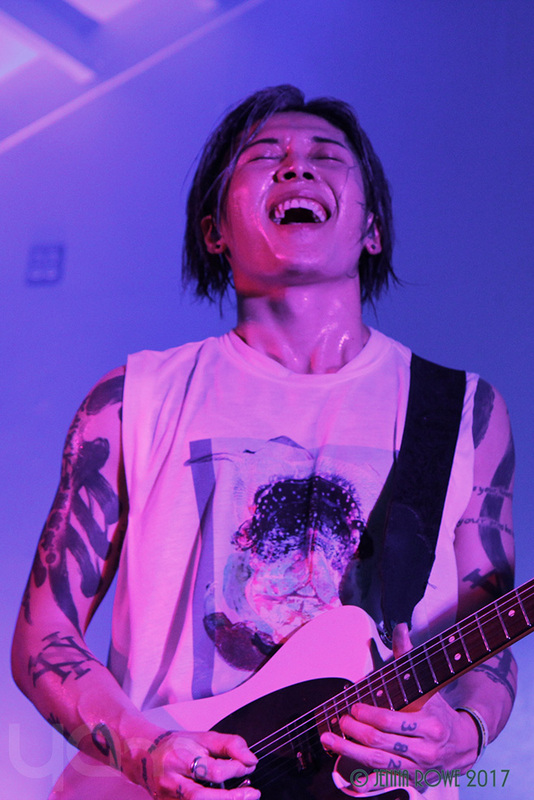 But when Miyavi finally came out on stage – Wow. We were all equally blown away. 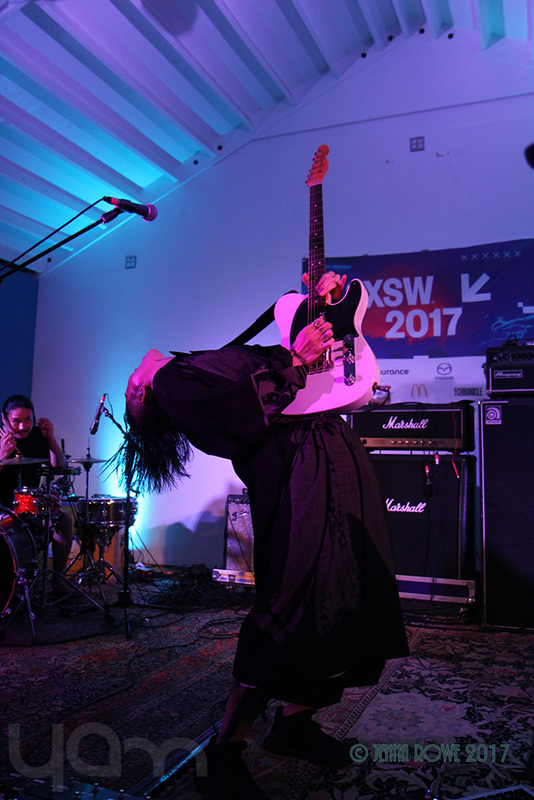 I was with my favorite SXSW crew of friends, who love Asian music as much as I do, and we all crowded up front to jam out. 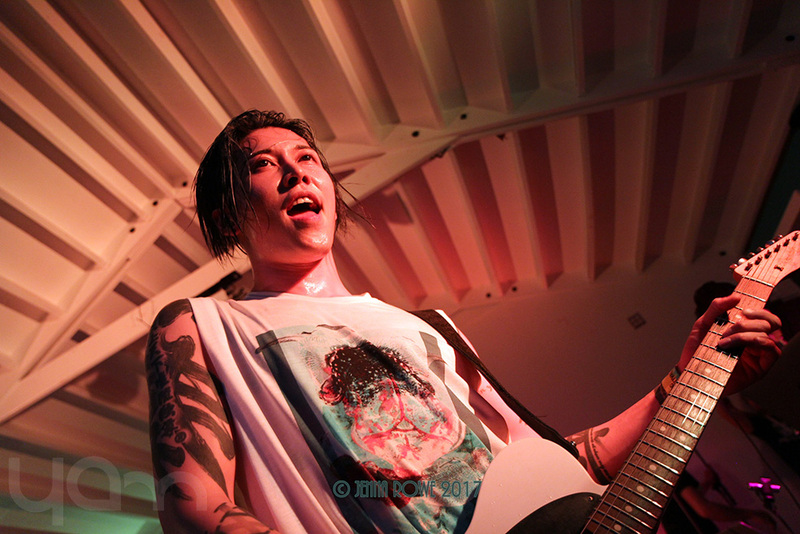 I was immediately struck with Miyavis’ stage presence. He absolutely captivates the audience. He stares them down. Some might say his gaze can pierce into your soul, but that’s just me waxing poetic. He hops out on the stage with the energy of a wack-a–mole and doesn’t slow down until the last call signal is given. He brought out two special performers to help him sing a cover of P.O.D’s Youth of the Nation MV. I was moved to tears. He spoke of how it is up to us to bring this country and our world forward. That his hopes for our future are entwined into his hopes for his two young daughters and how he wants to provide a better world for them to inherit. 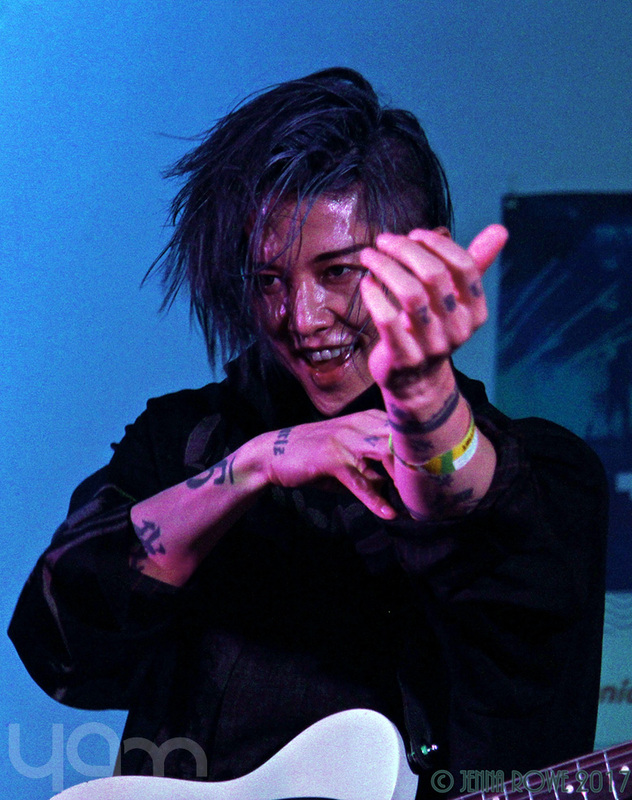 I am constantly struck by Miyavis’ kindness and compassion for the world and people around him. It makes it easy to be a fan. 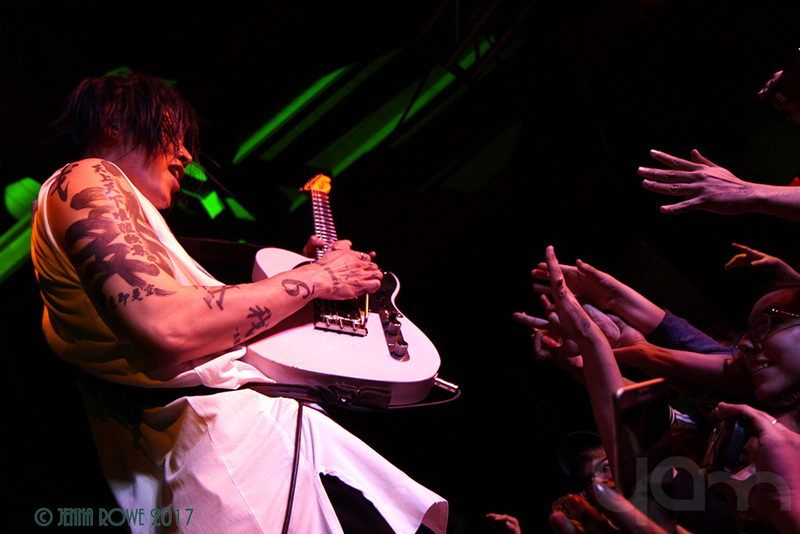 His fantastic guitar skills and music help, too. I can’t really speak to each night separately, aside from differences in crowd. But he put on an equally stellar performance both nights. Bringing just as much life to the party each night. 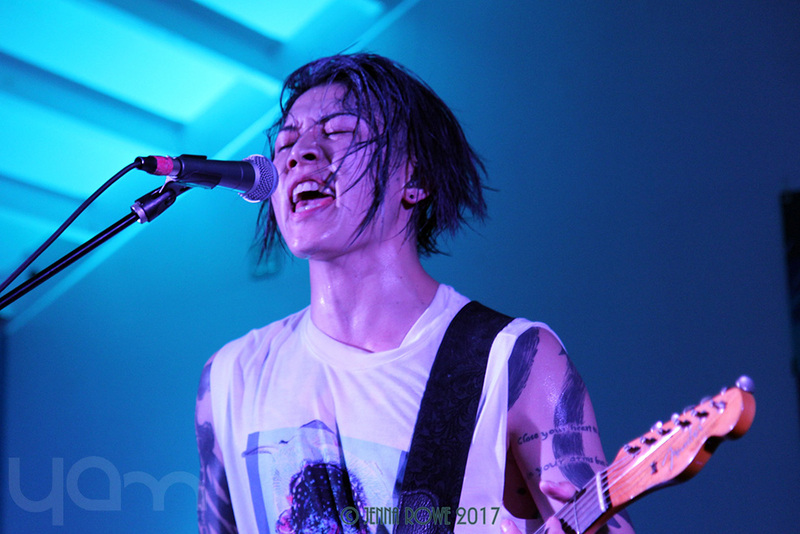 I’ll end it by saying that Miyavi will always be on the top of my list of artists to see live. 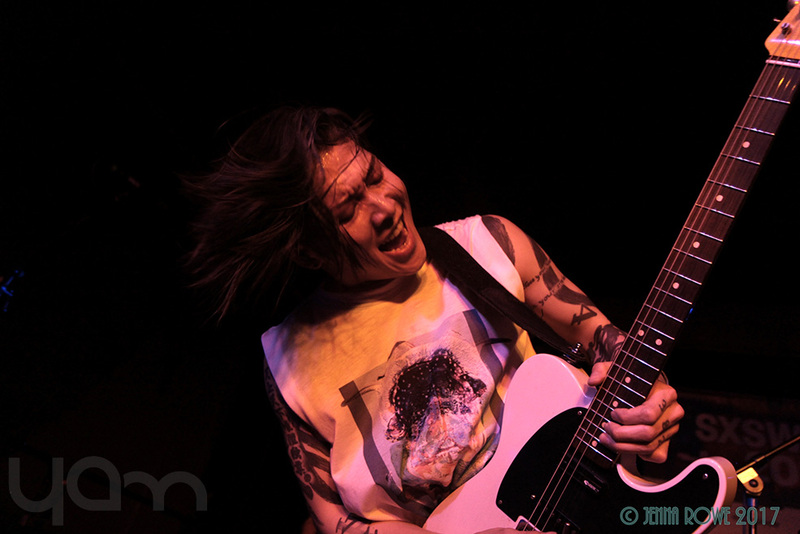 I will travel great distances to catch a performance, because he puts his soul into every minute of that performance. He feels what the audience feels, and truly connects with them, bringing a depth and energy that is topped by no one I have seen on stage to this day. Previous story Swimming Through Synth: Interview with the Fin.